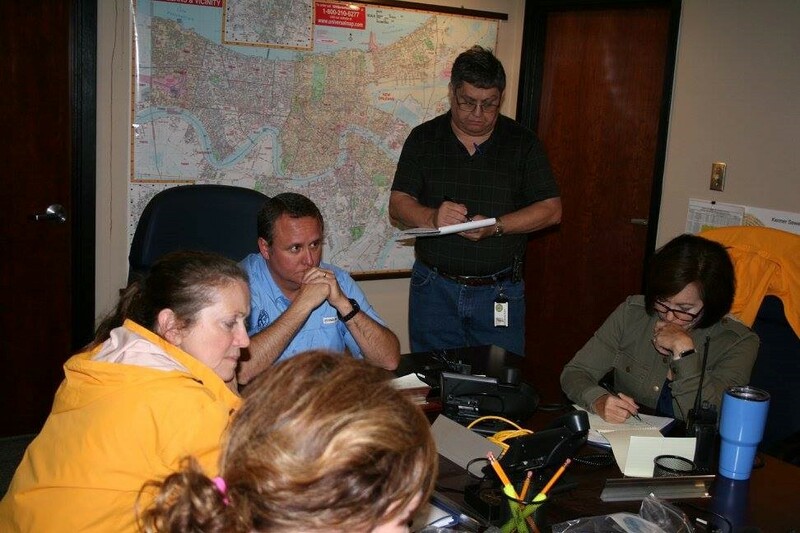 The mission of Kenner's Emergency Management Department is to coordinate emergency preparedness functions across all municipal agencies and to provide timely and relevant information to government officials and the public on dealing with hazards and disasters. The Emergency Management Department works closely with the Kenner Police and Fire Departments, as well as the Jefferson Parish Department of Emergency Management, Governor’s Office of Homeland Security and Emergency Preparedness (GOHSEP), and the Federal Emergency Management Agency (FEMA) and a host of regional response and recovery partners. On a day-to-day basis, an Office of Emergency Management (OEM) performs administrative and planning functions, working with our police, fire, public works, public information, and other municipal departments, as well as parish agencies, on initiatives that support government continuity, hazard awareness and individual preparedness. The Office works year-round with City administrators, elected officials, community leaders, faith-based organizations, business groups, and non-governmental organizations in order to develop close working relationships that enhance community resiliency. During major storms or other crisis, the City activates its Emergency Operations Center (EOC) to direct activities of municipal departments and coordinate with parish, state and federal agencies. Jefferson Parish has instituted the JP Alert system to effectively notify citizens during a major crisis, and provide relevant, timely information throughout the emergency situation. The City of Kenner works with Jefferson Parish officials to ensure that residents are alerted to emergency situations. Click below to sign up to receive updates via telephone, e-mail, or text message. For detailed information on storm preparation for your family or business, check out the brochures listed below. The City Administration and Police Department have community notification applications for your cellular device. These applications are FREE and can be downloaded to your Apple or Android device. Keep abreast of local events. Be alerted to developing situations and road closures. Check the online store on your device for the Official City of Kenner apps. During a crisis, check the Official City of Kenner Website, Twitter and Facebook pages for important information. Kenner officials work very closely with State and Jefferson Parish authorities to ensure safe and efficient evacuation of the City in the event it becomes necessary. One of our priorities is to ensure that our businesses can return to Kenner and resume operation as soon as possible following an evacuation. If you own or operate a business in Jefferson Parish / Kenner, you are strongly encouraged to register with the Parish for re-entry placards. Complete information can be found at the Jumpstart Jefferson site. Kenner businesses should annually review their re‐entry placard inventory to ensure they have sufficient numbers of placards so that their staff can return to the Parish / City as quickly as possible following an evacuation. If a business determines their assigned placards have expired or revisions are needed, an authorized representative of the businesses can log-in to the Jefferson Parish Re-Entry Placard Program site below. For more information, users can contact the Jefferson Parish Emergency Management Department at (504) 349‐5360. REMEMBER: Previously issued re-entry placards may have expired. Check your placards annually. Click the link below to receive information on how to renew yours. Click here to renew your hurricane re-entry placard. The City of Kenner maintains comprehensive plans that compliment and coordinate with Jefferson Parish’s procedures for emergency operations. It is important that citizens are aware of the proper steps to take during an emergency. Click below to view the listed brochures for important information concerning City of Kenner storm procedures. These documents are designed to be printed out on a sungle 8.5"x11" sheet of paper to produce a double-sided, tri-fold color brochure. For information on homeland security and related matters, or more detailed information on Kenner’s extensive emergency planning activities, click on the links appearing on the left hand side of this page. Click here register and let your friends and family know you are safe and well after a disaster. This link also allows you to search for loved ones registered through this service as well. In the aftermath of Hurricane Katrina and up through the present date, City of Kenner officials continue to work with FEMA, the East Jefferson Levee District, GOHSEP and the Army Corps of Engineers to enhance the safety of our residents. Through levee and drainage system improvements, flood plain management, development of comprehensive municipal codes and zoning ordinances, the City of Kenner works to improve the quality of life of its residents and reduce flooding and storm damage. Click below to view our progress.